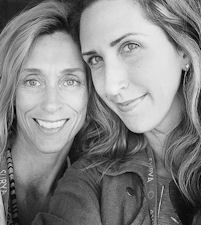 When one Blogtour just isn’t quite enough, we opt for two. 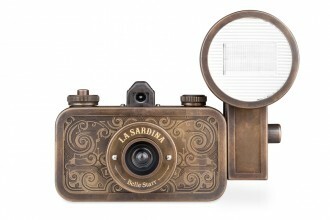 Hey, there’s so much great design in this world and with WestEdge Design Fair launching in LA in October, how can we not be there to cover it as well. That and we hear that LA in early fall is spectacular! Please stay tuned for more from both tours via our blog or follow the buzz on Twitter and #BlogTourLDN and #BlogTourLA – and now, please meet our LA team. Yvonne Blacker of Design Vignettes has pursued art from early childhood through college and later worked as a photo stylist and graphic designer. She soon realized that her focus had always been one of setting the stage to help people celebrate the important events in their lives and about organizing information — colors, patterns, textures, objects — in a way that presents a mood and tells a story. Today, Yvonne works as stylist, decorator and design blogger and you can meet her on Twitter, Facebook, Pinterest and Instagram. Ashlina Kaposta is an interior designer and editorial contributor based in New York City. For the last six years, Ashlina has been working alongside one of the top interior design firms in Los Angeles, CA. She founded The Decorista and brought it to NYC to provide interior design insight and showcase her styling and consulting services. The Decorista also extends Ashlina’s e-decorating services to clientele from boutique hoteliers to stylish niche aficionados around the world. Please follow Ashlina for more style inspiration on Twitter, Facebook and Pinterest. Emily Anderson from Good With Style is about ‘getting your own personal “home” in order, which ultimately benefits everyone’. 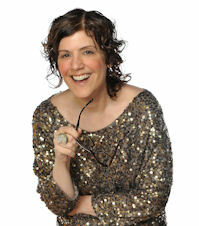 She has written three books about sustainable living–two are about home design and decor, and one is about weddings. The Good With Style blog is a reflection of her own personal taste and style. Here she shares her design process which is about finding things that move her, and then doing the research to find out what’s behind the things she loves. 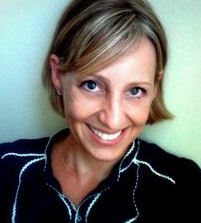 To learn more about Emily and her unique design approach please find her on Twitter, Facebook and Pinterest. Known from her 5 year gig on HGTV, New York City based designer and blogger, Mindy Miles Greenberg of Encore Decor Blog designs beautifully comfortable + luxe interiors. As a boutique design firm, Encore Decor, ia available to work with clients one-on-one either in person or remotely via the phone/web. On her blog, Mindy offers a casual insight into the New York City Interior Design scene from parties to product launchesand from trade only events to charity happenings. 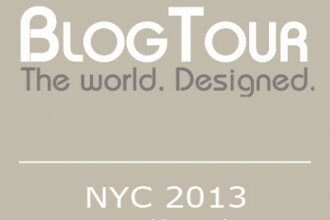 Follow Mindy for more on design in NYC on Twitter, Facebook and Pinterest. 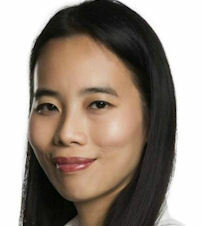 Geraldine Tan of design and lifestyle blog Little Big Bell explains that the name of the blog has evolved from her daughter’s Chinese middle name which translates to Little Bell. The blog is where she explores and curates a collection of new talents and trends in the world of design and decor whilst her day job is that of an emergency physician. Geraldine says that, whilst she loves the exhilaration of her day job, blogging is the perfect antidote to unwind in the evening. 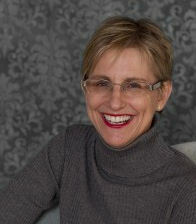 For more on design from London and the British countryside please follow Geraldine on Twitter, Facebook and Pinterest. 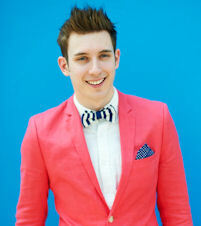 Will Taylor is a freelance interiors journalist and self-confessed colour addict. In 2009 Will channeled his love for colourful interiors into his blog, Bright.Bazaar, which was recently named the 7th best interiors website in the world by The Daily Telegraph. 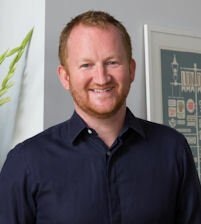 Will works as Market Editor for The Simple Things and Sweet Paul Magazine, as well as collaborating with globally recognized brands including Martha Stewart, Laura Ashley, West Elm and many more. 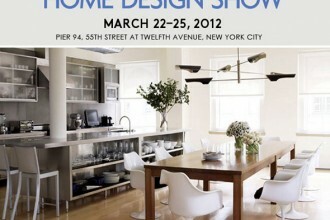 Will’s first interior design book is to be published worldwide next spring. To follow Will’s colourful personality, find him on Pinterest, Twitter, Facebook and Instagram. 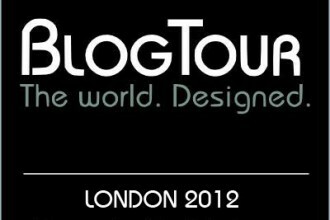 London based design blogger, interior designer and owner of APD Interiors Andrew Dunning is an old friend of Modenus, BlogTour alumnus and organizer of BlogTour reunions in London. His blog is a collection of advice on cost effective ways of creating beautiful, stylish interiors and is consistently placed amongst the top blogs on Decorex’ and Modenus’ Top 100 Interior Design Blogs. For more of Andrew’s musings on all things British Design please see him on Twitter , Facebook or Pinterest. Franki Durbin of Life in a Venti Cup as well as Life in a Sippy Cup, the lifestyle blog for the younger set, is an entrepreneurial powerhouse. Franki runs both blogs, her successful design firm Franki Durbin Interiors and acts as VP of creative services at Brandstorming Media that is, when she’s not designing products or running her remote design consultancy Demitasse. We’re loving the coffee motive, Franki, and if you would like more of all that buzz please meet her on Twitter, Facebook and Pinterest. 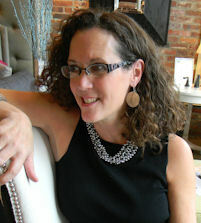 CLOTH & KIND was founded by Krista Nye Schwartz. A childhood of being exposed to fantastical worlds of color, texture and style that came from living abroad in India and Brazil led to a career at Condé Nast publications and then a transition of Cloth & Kind from blog to boutique interior design firm. Krista found the perfect creative partner in Tami Ramsay who creates immeasurably warm, inviting and livable spaces infused with unique, vintage and custom pieces, curated art, textiles and wallcoverings rich in pattern and texture. For more design inspiration from this blogger duo please join them on Twitter, Facebook and Pinterest. Lynn Byrne of Decor Arts Now has proved her passion for design over and over as life led her from law school to a career as a wall street lawyer, onto a new opportunity as corporate lawyer for Sotheby’s where she could combine her legal acumen with her passion for arts and antiques. Lynn later left corporate life to raise her three boys and, inspired by the redesign of her home that she had lost in a fire, launched a successful design firm and has now discovered her love for writing. 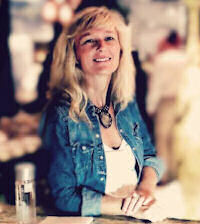 For more on Lynn’s musings about design, art and antiques please find her on Twitter, Facebook and Pinterest. added a roster of hundreds of masterful Guest Bloggers. Each week Stagetecture gives Guest Bloggers a chance to share their ideas, services, and home inspiration with the world. Stagetecture has given confidence and exposure to Bloggers, and has helped readers receive fresh information weekly. For more from Ronique please follow her on Twitter, Facebook and Pinterest. 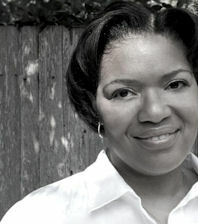 Owner and lead designer of In Detail Interiors , Cheryl Kees Clendenon has been active in the design industry for 14 years. Her sharp attention to detail has earned her numerous design awards and publication in over 60 national consumer magazines and books. Her unique and colorful retail design showroom is an eclectic mix of unique furnishings, vintage mid century glass and one of a kind accessories. She is the author of the opinionated and sassy blog “Details and Design” chronicling the daily drama of a working designer along with products she loves, designs she hates and a “tell it like it is” look at being a small business owner. 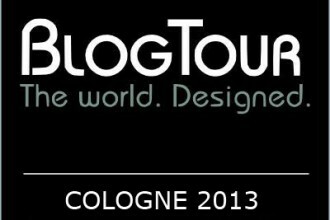 Cheryl is a member of the Blanco Design Council, has attended Blog Tour London with Modenus, and is an original member of Blogger 19. You can catch Cheryl on Twitter, Facebook and Pinterest. Gudy Herder from Eclectic Trends was born in Germany and has been living in Barcelona, Spain for the past 20 something years where she works as an Interior Stylist and teaches strategic visual merchandising in the luxury field. Aside from traveling the world through her work, can you say Europe, Dubai, Brazil, Panama and Mexico in 2012 alone? Gudy loves discovering new artisans and enjoys working with clay when she’s not busy with her blog or contributing to Decor 8 and various other publications. You can follow Gudy’s travels on Twitter, Facebook and Pinterest. 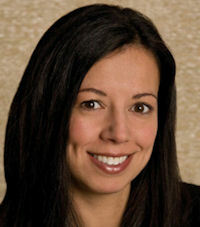 Susan Serra, award winning designer, Certified Kitchen Designer (CKD) and Aging in Place Specialist (CAPS), has owned and operated a kitchen design firm for over 20 years. Susan is an industry brand consultant, speaker and a passionate observer of kitchen and bath sociological and product trends. A go-to source for the media on kitchen design, Susan has been featured over the years in Meredith publications, Oprah.com, HGTV, NY Times, LA Times, appearances on Martha Stewart radio and many other media outlets. 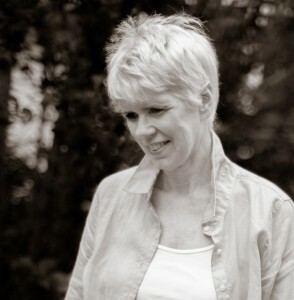 Susan is founder of www.BornholmKitchen.com, www.ScandinavianMade.com and authors the blog, www.TheKitchenDesigner.org. You can follow Susan on Twitter, Facebook, and Pinterest. What an amazing lineup! Can’t wait to follow along! This is going to be a great team! You’re going to have a blast! Congratulations everyone, Veronika has exciting things planned for your time in LA. Get your sleep now! What a fab group you have curated for this trip!!! Really like your blog always a very good inspiration, hope you keep doing this for a long time to come, thank you very much. Hope you like my blog as well. nice to find this post..